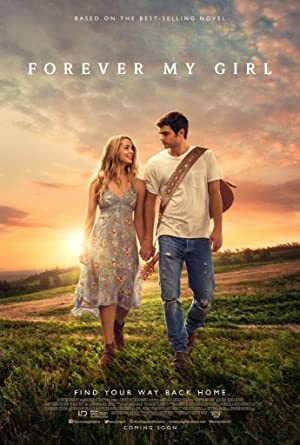 Forever My Girl (2018) – What's New on Netflix Canada Today! A music superstar reunites with his first love and realizes the steep price he has paid for his success in Forever My Girl, an uplifting and emotional romance based on the novel by New York Times and USA Today bestselling author Heidi McLaughlin. Liam Page (Alex Roe) and his high-school sweetheart Josie Preston (Jessica Rothe) were the golden couple of Saint Augustine, Louisiana, until Liam left her at the altar for a shot at fame and fortune. Eight years later, Liam returns to his tiny hometown for the first time as a world-famous recording artist, but not even his own father is thrilled to see him. As he tries to rebuild the bridges he burned years earlier, Liam reconnects with his small-town roots, his close-knit community and Josie, the girl he left behind.